The Lions of the North welcome Downs at their fortress Makhulong Stadium in Tembisa for an epic Absa Premiership clash tonight (7.30pm). Sundowns head to the encounter in high spirits after their impressive 2-1 win against Morocan side Wydad Casablanca in the African Champions League. Coach Pitso Mosimane’s charges held their own to overcome a stubborn Wydad team that tried their best to frustrate them in Attenridgeville on Saturday. Da Gama says Downs should expect another gruelling encounter as his team are determined to get back to winning ways at their expense. 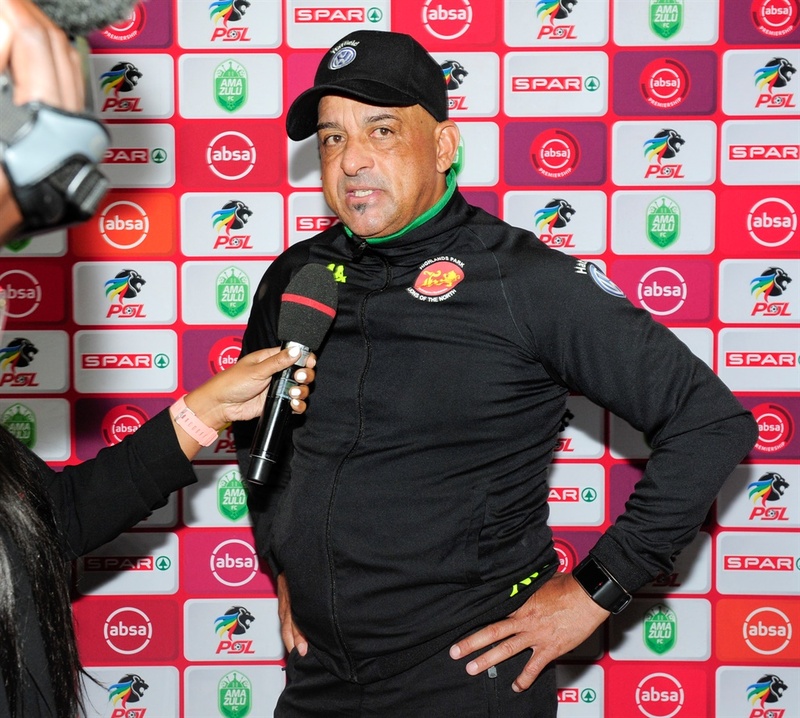 “We are going for all three points,” said Da Gama. “We know we are up against a strong opponent, but we have prepared well to get maximum points. “It is going to be a difficult game for both teams. They will be in for a big surprise if they are expecting anything less. The Siyabangena/Siyabahlaba are yet to win a game this year in the PSL after drawing both their games against Orlando Pirates and AmaZulu. They currently occupy ninth spot on the log, with 22 points from 17 games. Downs on the other hand sit third on the log with 28 points – six behind leaders Bidvest Wits, with four games in hand. The Tshwane giants last tasted defeat in the league in January 2018 when Pirates beat them 3-1. Since then, they have gone 26 games unbeaten. However, Da Gama is encouraged by his side’s form against the big guns having taken points from Downs, Pirates and Kaizer Chiefs in the first round. They proved a difficult nut to crack for Downs in the reverse fixture as the teams played out to a goalless draw at Loftus Versveld. “We are a growing team and we are learning fast. “We don’t just want to remain in the PSL. We want to be competitive and add value.